It’s here, everyone! We are now in the midst of the most wonderful time of the year to buy wedding jewelry. Deals abound. Hunnies are getting ready to propose over the holidays. It’s the perfect storm of practicality meets savings. 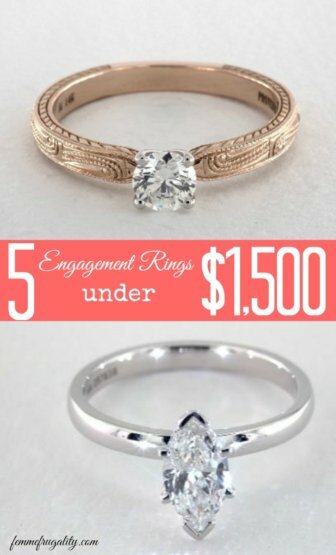 If you’re shopping for an engagement ring on a budget, here are five beautiful picks under $1,500 from my favorite online retailer: James Allen. 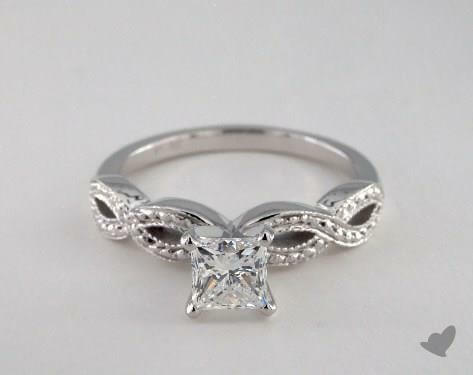 I like buying rings online because it saves you money and helps you get more bang for your buck. I like James Allen because they go above and beyond to help you view rings and diamonds at 360 degrees and they throw in all kinds of freebies like engraving, shipping and 30-day, no-questions-asked returns. Displayed here in 14K white gold, you can also get this band and setting in rose gold or yellow gold. The infinity symbol that encircles the band serves as a reminder that your love and promises are eternal. 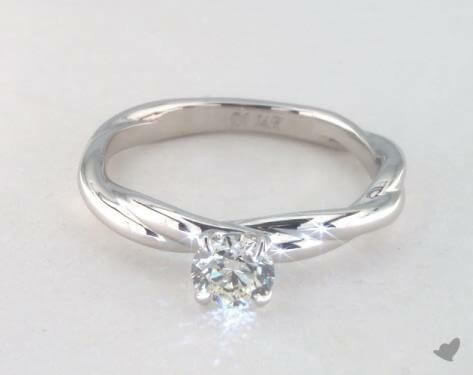 Paired here with a .70 carat, princess-cut diamond, the final price comes to $1,450. Don’t underestimate the elegance of simplicity. 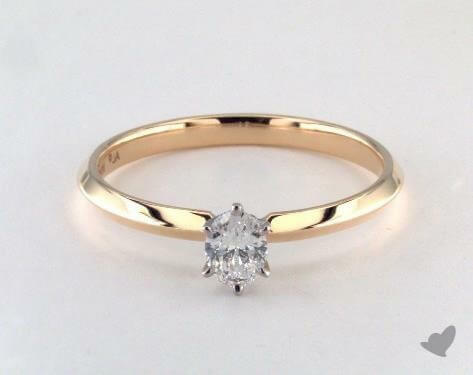 This 14k gold band, also available in all three shades of gold, comes in under budget so that you can splurge on the .71 carat oval diamond with super high clarity. Total price is $1,460. This one is my favorite. As a woman, I would gladly take the smaller .53 carat size in exchange for the excellent cut, color and clarity, but the real deal breaker is the gorgeous band. It’s beautiful in all colors, but personally, I’m crushing on the 14k rose gold displayed above. Total price is $1,430. 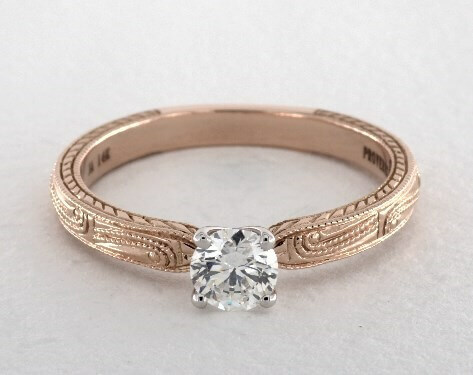 If engraving isn’t her thing, but she does want a unique aspect to her band, check out the Rope Solitaire Engagement Ring. It’s subtly different, but still simple. This one is also displayed with a high quality .53 carat diamond. Total price is $1,500 on the nose. Comfort Fit rings are beveled around the edges so they won’t cut into your fingers at all. This one is 2mm thick, and perfect for displaying the unique marquis cut diamond which is .70 carat. Total price is $1,440. Which engagement ring would you pick? I’m interested to see which way you guys lean. My favorite is the third option, but they’re all pretty dang beautiful—especially for those prices! If you’re already married, how low did you manage to keep your budget? This entry was posted in Wedding on a Budget on November 16, 2016 by femmefrugality. Gorgeous rings! I got my wedding ring of Etsy for less than $200. Made by a Canadian artist, sterling silver and designed to look like a golden snitch from the wizarding world of Harry Potter. As I’m a frugal, potter nerd, it’s a perfect fit for me. My husband had lost his mom when he was a child. I have her rings. I say he bought me a used ring, and a used house. All those rings are pretty and show that you don’t have to spend 2-3 months pay to get a pretty ring. 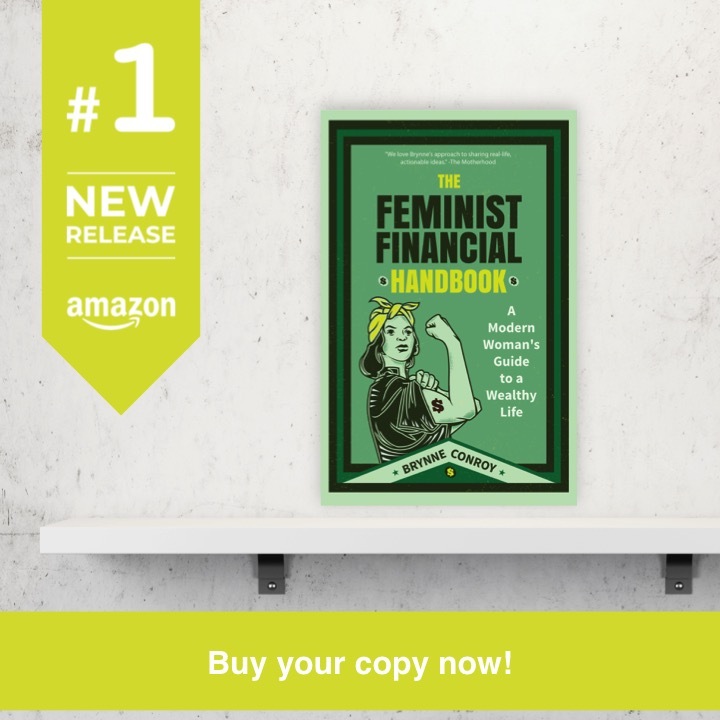 As I told my husband, “once we are married, your money (and my money) becomes our money and I have a lot of things I’d rather do with our money than wear it on my finger. 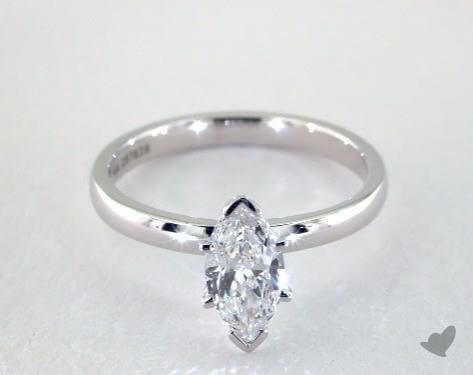 I really hate marquis cut diamonds – it’s the kind my mom has and we’ve joked for years how my brother (or his future wife) and I will sure not be fighting over that thing. …which is really morbid and all, but you definitely have some weird conversations with family sometimes. I really like the second ring. Luckily my husband didn’t spend anything on my engagement/wedding band set. His mother gave him the set his father designed for her. I love it because it is unique and I know no one will have a set like this. Beautiful rings : ) The title of this post caught my eye because just yesterday, as I was sitting at work, I noticed that the diamond from my engagement ring was missing : ( I’ve accepted the fact that it’s gone, and until we pay off the mortgage, we won’t be replacing it. So I’m going to be engagement-ringless for the next 3 years or so. If and when we decide to replace it, I think we’ll go for one of the types of rings above: beautiful but not bank-breaking.